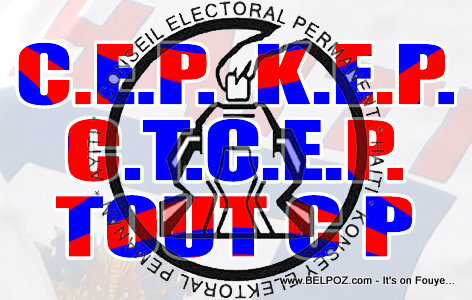 KREYOL: Haiti - Konsey Elektoral (KEP) a remet demision yo bay President Martelly... Yo ap rete nan pos yo jiskaske yon lot konsey vinn ranplase yo. Kisa-w panse de sa? All 9 members signed the resignation letter, they will remain in their posts until a new elcttoral council is put in place. Pierre Simon Georges, one of the CEP members told Radio Ginen: "It it is pure failure for an electoral council body to be in a situation where it has to resign without having held any elections... I'm gonna have to put in my resume that I was a CEP Member but when asked what did I accomplish, I wont be able to say anything. But if this can produce something for the country like remove people who are protesting in the streets so that peace and prosperity can be restored, then so be it..."